There are many wonderful day tours in Nepal. 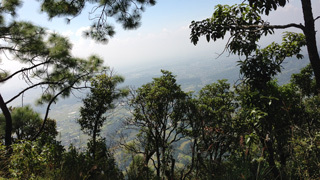 We offer some starting out at Kathmandu or Pokhara. Even if you do not have many days available for your holiday in Nepal, you can still enjoy some fantastic day tours. And if you like one, it is even possible to extend many of these day trips to few more days. What else could you ask for? From Kathmandu, we take you to a beautiful hill station Nagarkot where we make one of the best one-day hikes Nepal has to offer. On a very clear day, you can even see the Mount Everest. 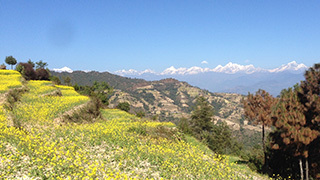 The Dhulikhel Day hike is best choice for those who love to spend a day in green fields, a countryside hill walkers, interesting villages and of course fantastic mountains above the northern hills. The Sundarijal Day Hike – more than anything – is a beautiful walk inside dense forest. It is also a place to be for birdwatchers. The whole area is protected as the Shivapuri National Park. These tours are suitable for most people – even those without hiking experience. You just need to be physically fit. Unless mentioned otherwise, kids above 8 years can also join. Interested in any day trip? Just send us a quick message. We love to send you further details.